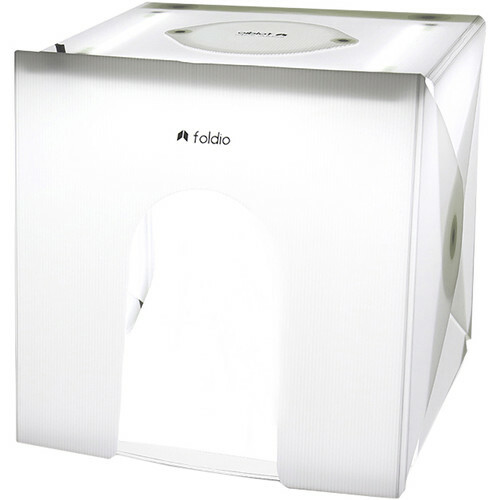 The M0710R Foldio2 Plus Front Cover from ORANGEMONKIE magnetically attaches to the front of the Foldio2 Plus studio to reduce light loss, and the reflective white plastic bounces the light back onto the subject that would normally escape through the front of the foldable studio. Meanwhile, the cover has a small opening that enables you to still shoot through with your camera. Box Dimensions (LxWxH) 15.5 x 15.1 x 0.8"